Lexus is working on the GS and LS successors and the later one is expected to hit the markets in 2013. This will enable Lexus to compete with Mercedes' all-new S-Class, which is also expected around that time. Although this rendering doesn't look as impressive as the previous one, I reckon that it's still early to have a good indication of how the new model will look like. 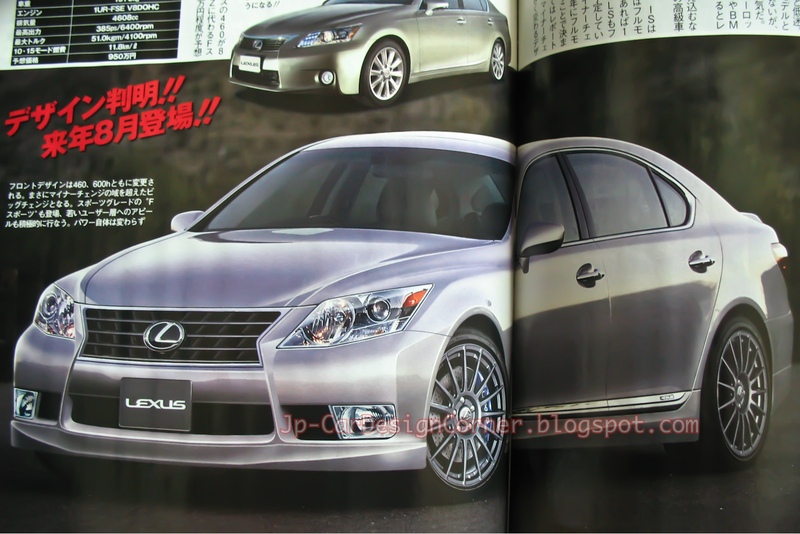 This time, BC has published some speculations regarding the LS 460, which should be powered by the 1UR-FSE 4.6L engine delivering 385 ps @ 6400 rpm. The max torque claimed is 51.0 kgm and the estimated fuel efficiency is 11.8 km/L. Prices in Japan should start from around ¥ 9,500,000.